Quests are personal journeys that emphasize discovery-driven knowledge formation, deep understanding, and skills practice. Each quest begins with a relevant, real-world context, and then enables students to build knowledge within that context, gain competence in the area under study, and work closely with their mentors and peers. In any given course, students select from required or choice quests, completing a certain number in each level of the course to proceed toward course completion. As students complete level requirements, higher levels and quests within unlock and become available to students at their own pace. Each quest contains a set of carefully curated resources—openly available materials, links to high-quality sites, books, videos, and more—which students use to inform their understanding. At regular intervals, quests prompt students to create “artifacts”—authentic work products that will be used for demonstrating proficiency in the given level. Artifacts can be individual works or can be created by a group of students in a group quest. 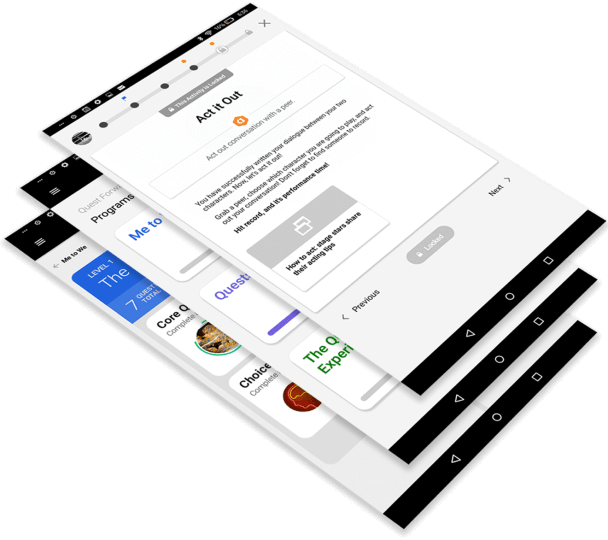 Quests are also designed to engage students in reflection and to generate feedback from mentors, either directly or via the Quest!™ app. While students work through quest activities sequentially, mentors have unrestricted access to each quest and can view each student’s progress through their quests. Mentors receive requests for feedback from students and respond with individual or small-group discussions at the given moments in a student’s work. Building on insights from games-based learning, project-based learning, and other progressive approaches, we designed quests to enable students to drive their own learning, practice key skills, and to do so with relevant and engaging materials. Quests are created by qualified subject-matter experts, cover a variety of topics, and share a common blueprint. Quests are designed around a driving question that sets up the student’s experience and directs their exploration of the topic. Driving questions are open-ended, requiring students to shape their insight and growth in personally suitable ways. Quests are built from a string of sequential activities, which students work through in the defined order. Each student progresses through a quest at their own pace. Each activity has a defined goal, and typically provides resources — digital materials curated from open educational resources, publicly available online materials, and more—that students choose from to deepen their understanding. At key moments in a quest, students will need feedback from a peer or mentor. They will likely make an artifact first—a work product that demonstrates competence in the skills prioritized by the quest—and then ask for feedback. Only when they have received input and responded to it, will they be able to continue to the next activity. At the end of each quest, students will be asked to reflect on key insights and learning from the quest experience, which further deepens their grasp of the topics covered in the quest. Every quest starts with a Driving Question. At the center of every quest is the production of an artifact. 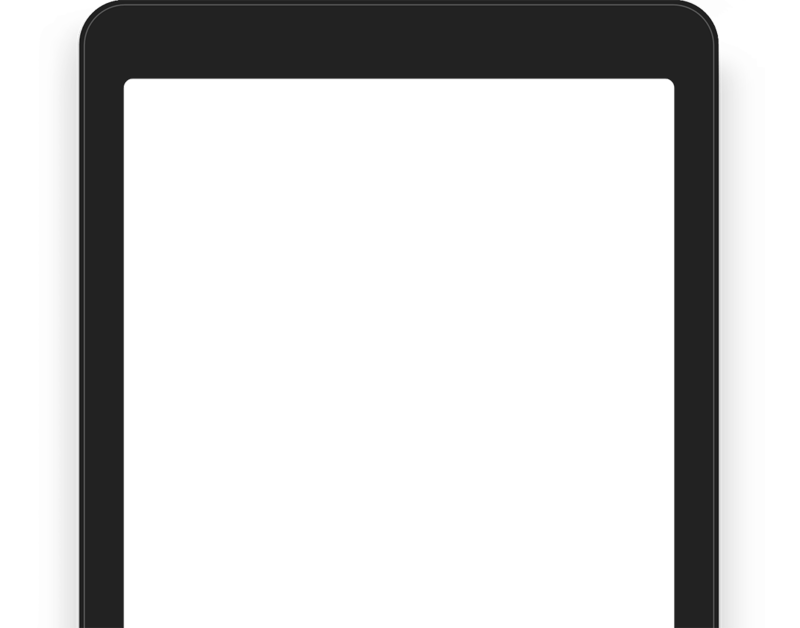 Learners are able to submit reviews of quests. Every quest gets rated in terms of the effort required by the learner. Using QuestMaker™, educational experts, teachers, mentors, or anyone knowledgeable about a topic can design and publish quests. Quest-based training resources are available for quest designers to learn to create quests that engage learners and enable discovery-driven learning. Quests are typically designed to enable students to meet specific local, regional, or national academic standards. All quests are reviewed for quality and compliance with Opportunity Education’s standards before becoming available to mentors and students. Introducing technology into the classroom doesn’t have to be an isolating experience for students, nor does it need to turn students into passive consumers of information. Instead, the Quest! 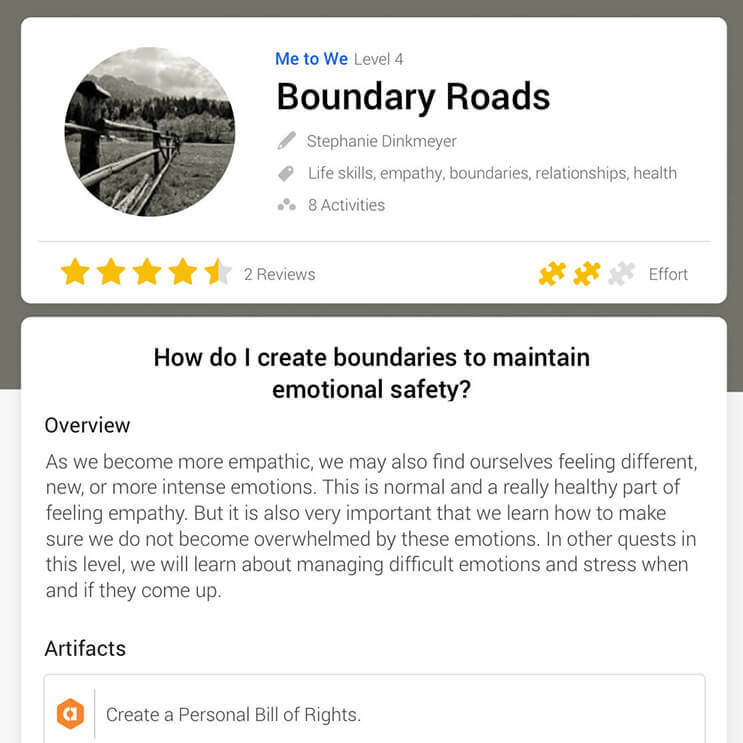 app encourages students to interact and collaborate with each other and with their mentors. Our quest library now contains over 2,000 quests and continues to grow daily, covering a wide range of subjects, topics, and standards. Which species belong where in a globalized world? As globalization makes us more connected with people and places around the world, what happens to natural ecosystems, species, and cultures? How have humans reshaped the world? In this quest, you will consider these questions in the context of fire ants, kudzu, raccoons, parrots, and pigs--all on the move in our globalized world. What is the value in seeing nature as the enemy? What happens when humankind loses in the fight against nature? Explore texts, ideas, and historical events, all of which depict humans and nature in a struggle against each other. What do you do when you believe those with power are using it for something that is wrong? We often come across things in our daily lives that do not seem right to us. War is one of those things that many feel this way about. Throughout most of American history, people have actively supported the government and the military in times of war. This was especially true in World War I and World War II, but that has not always been the case. 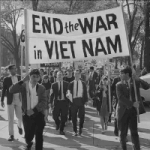 Research how Americans reacted to the war in Vietnam, and connect that to similar movements in the US today. Evaluate arguments made for and against different forms of authority. Are the arguments good? How can they be used as evidence? What is the relationship between art and nature? Nature often inspires art, but what happens when artists use nature to make their art? 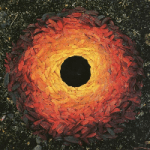 In this quest you will look at some works by the artist Andy Goldsworthy. From fallen trees to piles of rocks, Goldsworthy's pieces make his audience think about the relationship between art and nature, and humans and nature. Explore the ways writers and thinkers have championed a positive relationship between humans and nature. What do we gain when we work with nature, and, in some cases, view ourselves as the enemy? And if nature is necessary for our physical and psychological well being, how do engage with it in the right ways? How are you participating in a market economy through your use of social media sites? Did you know that Facebook made billions of dollars in 2017? Wait. How? Facebook doesn't sell anything. Right? 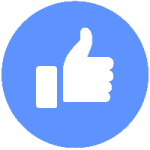 In this quest you'll learn how social media sites like Facebook make money, and explore how you are contributing to their success. How do incentives and supply and demand impact our lives today? What core values drive your daily life? 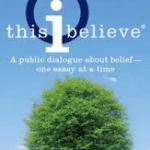 Could you summarize your core beliefs in a single essay? What if that essay were so short it could be read out loud in under four minutes? That's the challenge for this quest! You will be engaging with the radio program This I Believe, which, for over fifty years, has been asking people, "What do you believe?" How do you convey something you believe? Explore a variety of ways to share your beliefs and opinions with others, including personal essays, persuasive speeches and paragraphs, and even commercials. 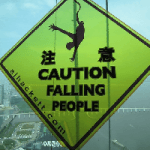 How do you know that bungee jumping is safe? Bungee jumping - it can be thrilling and terrifying at the same time! How do you know that bungee jumping is safe? In order for bungee jumping to be exciting and safe, the bungee has to be just the right length. Experiment by creating a bungee jumping experience for a toy or small object. To figure out the right length of "rope," you will start with some very short jumps, and then use math to predict how much "rope" you will need for a big 4 meter jump. Test the limits and discover what bungee jumping has to do with math. Analyze data and determine which type or types of model are most appropriate for a given circumstance and use non-technical language to explain the reasoning behind your mathematical thinking. If you have significant teaching experience, and/or have worked in curriculum design, send us your information!